A 10-person team from the Centre for Schistosomiasis and Parasitology and University of Yaoundé I, travelled to the city of Edea, in the Littoral region from 24th-27th May 2016 to conduct an evaluation study. National Deworming campaigns for school aged children take place annually in all regions of Cameroon under the guidance of the National Programme for the Control of Schistosomiasis and soil transmitted Helminthiasis. Albeit this colossal effort by the government to rid its people of the burdens incurred from neglected tropical diseases, there are sometimes issues of high reinfection in endemic areas due transmission sites such as sewage from latrines following into water sources such as rivers. It is for this reason that a parasitological study is being carried out to evaluate the level of transmission of schistosomiasis and the efficacy of praziquantel treatment provided during the annual national deworming campaigns. The health district of Edea is being used for this pilot parasitological study where stools from school aged children have been collected for analysis. Edea is a city located along the Sanaga river in Cameroon’s Littoral region, 154KM southwest of the capital city Yaounde. It is connected to Yaounde and Douala by rail and road, as well as Kribi by road. The population was estimated at 300,000 inhabitants and it is important for the two hydro-electric dams which it contains. It is home to bauxite facilities, aluminium processing facility, timber facilities, paper facilities and water power stations. Furthermore, banana, oil palm and cocoa are farmed near by. 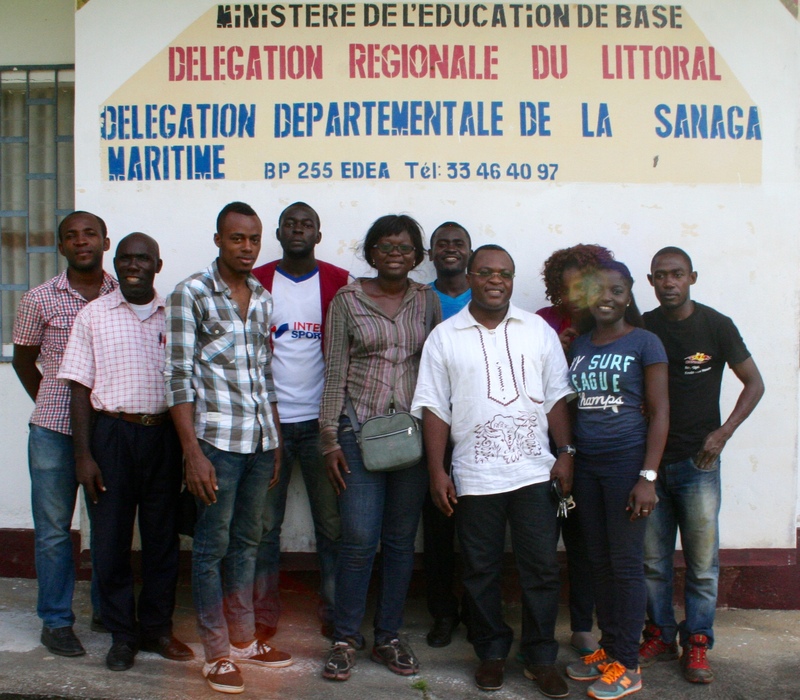 The team which descended unto the field consisted Masters and PhD students from the University of Yaounde I, lab technicians, a communication officer and a data manger from the Centre for Schistosomiasis and Parasitology. Over the course of a four-day period, the team successfully collected about 1600 stool samples from school aged children from about 75 schools within the various divisions in the city namely: Edea I, Edea II, Dizangue, Dibamba and Ngwei. The collection of samples was facilitated by cooperation from all school directors who were made aware of the team’s visit and the purpose of the study. 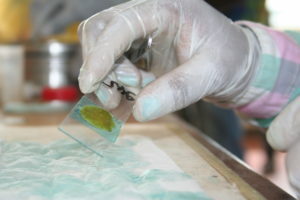 The effective collaboration from all team members ensured that all samples collected were meritoriously prepared on slides by use of the kato-katz technique and analysed microscopically by the lab technicians.